Wow, “Running of the Poets” was completely fun. I had a great time with a group of truly fine poets and one little boy: Keith Ekiss, Robin Ekiss, Maurine Killough, Kalamu Chaché and Santa Clara Poet Laureate David Perez. 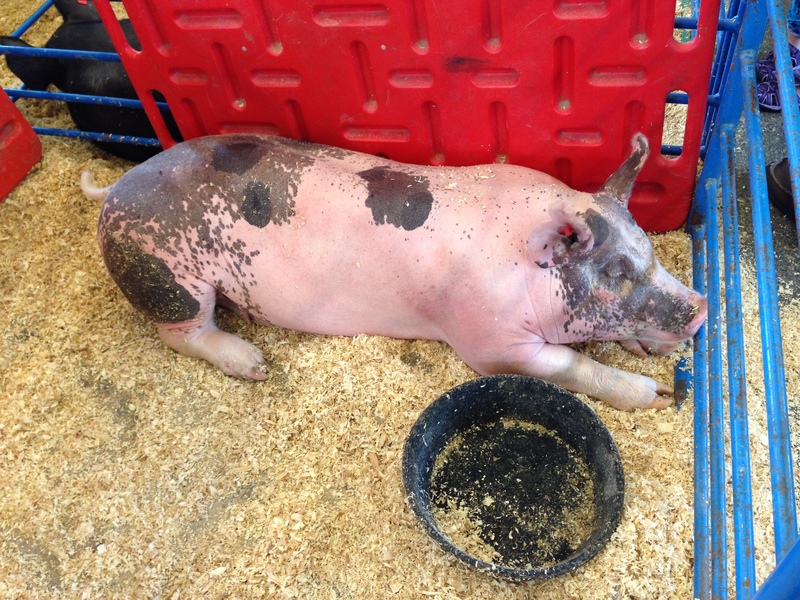 The audience was good, too, which I didn’t really expect at an event known for livestock and screamer rides. The quilts were stunning. David Perez and I had lime cake, which was divine, courtesy of some cute 4-H-ers. I hope I get asked back next year. The featured photo here is of our hostess, Caroline Goodwin (San Mateo County PL), with David Perez and me. We were exhausted from running and having our picture taken, I think. 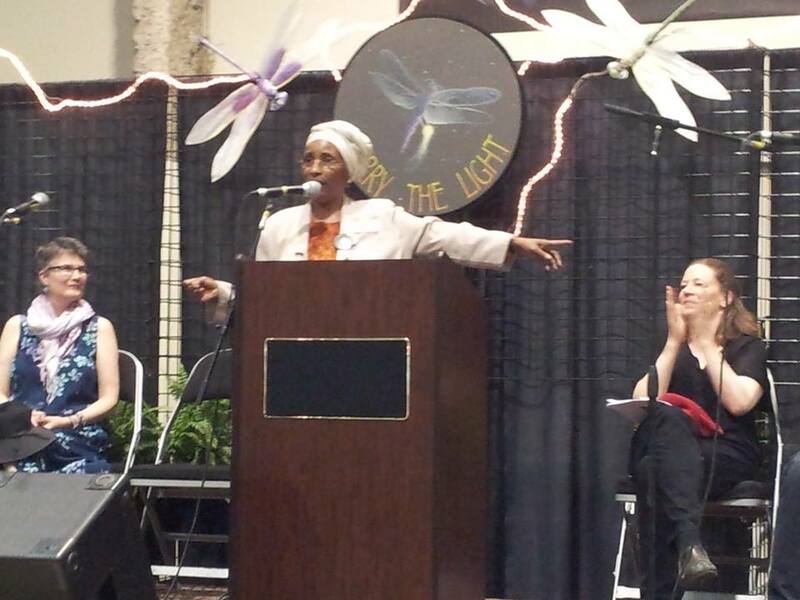 This is a shot of Poetess Kalamu Chaché — poetry spiritual leader and laureate of East Palo Alto. 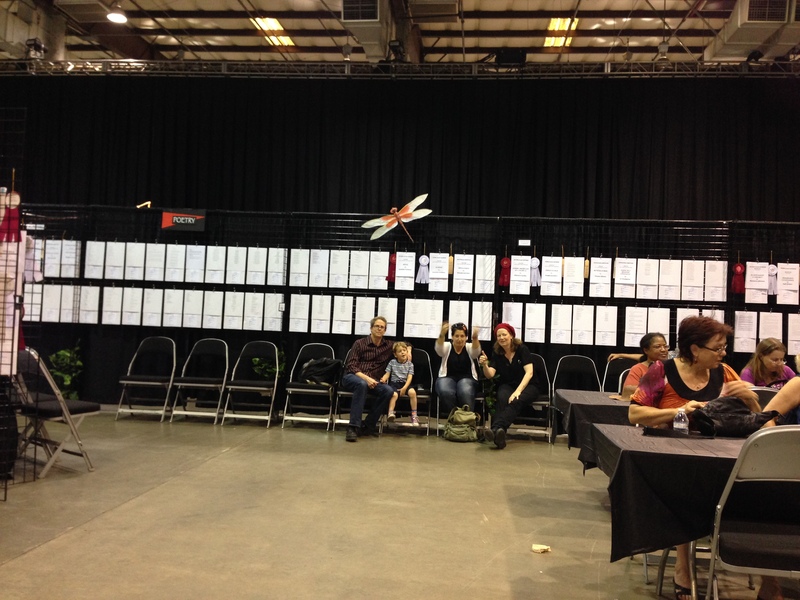 This is the wall of poem entries. Dazzling. 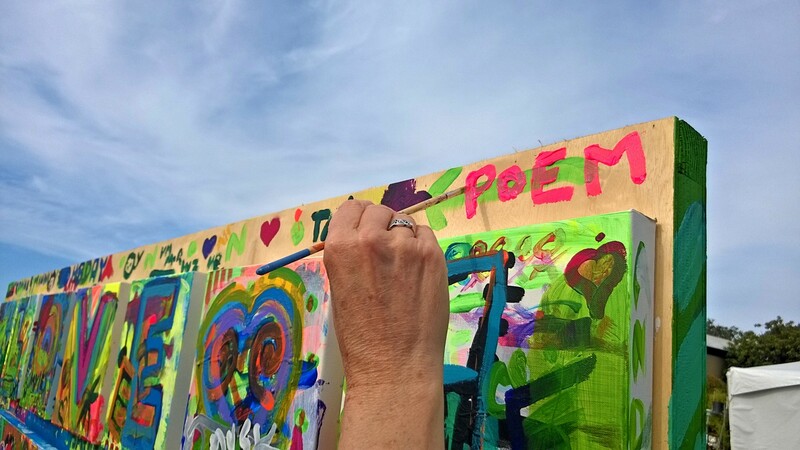 Here’s one of me painting a “poem” on an art exhibit elsewhere at the fair. Photo credit by David Perez. 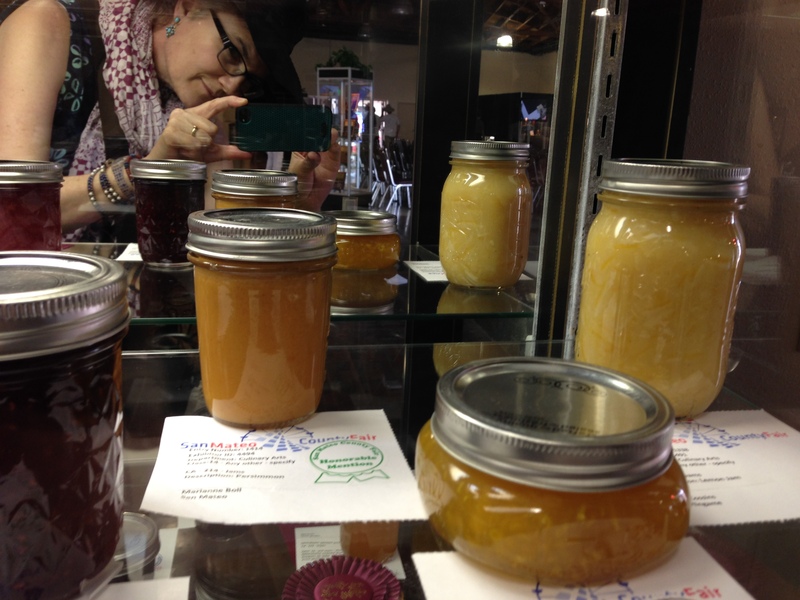 Here are some awesome jars of mango and lemon jam. The rest of the photos can be seen on my Flickr album. Prompt (Late) #34 : Dragons!